Why do landowners participate in the USDA Conservation Reserve Program (CRP)? To what extent do landowners who no longer participate in CRP continue to manage their land as grass versus plow it out? What do landowners need that would help catalyze their land stewardship after their participation in CRP ends? 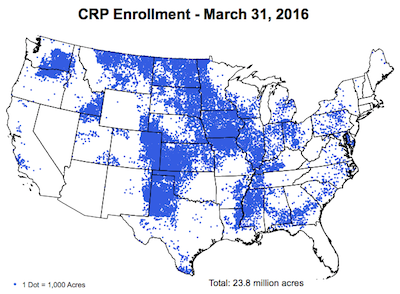 These questions are the focus of a new human dimensions project examining CRP participation by landowners in the PLJV region, which contains the top 3 states for CRP enrollment: Kansas, Texas and Colorado. In April, human dimensions researchers from Virginia Tech (Tech), including the new National Bird Conservation Social Science Coordinator, and an economist from USDA Farm Service Agency national headquarters joined conservation professionals and biologists from Bird Conservancy of the Rockies and PLJV to discuss the focus and approach for this research. The team also spent a morning in the field, visiting a rancher’s home and CRP land to learn more about her perspectives on CRP participation. “The PLJV region is extremely important to CRP, both in acres we have but also in the resource value and protection provided by these acres. This study, coupled with our own work, will help us better understand what landowners think about CRP and allow the PLJV partnership to greatly improve conservation delivery,” says Mike Carter, PLJV Coordinator. Human dimensions researchers will be back in the field again this summer to begin the first phase of the research. During this phase, a graduate student from Tech will live in a local community for approximately four months, interviewing and learning from landowners and conservation professionals in southwest Kansas and southeast Colorado about their experiences with CRP. Later in the summer, the researchers will conduct focus groups with landowners in several of the states in the southern portion of the PLJV region. The focus groups will inform the development of a survey, which will be sent in early 2018 to private landowners who are currently enrolled in CRP and who have left CRP within the last five years. For more information about the project, download the project summary or contact Ashley Dayer at 540-231-8847.